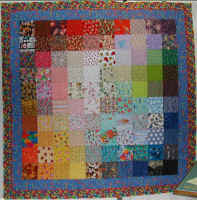 Original Quilts will finish your quilting projects. 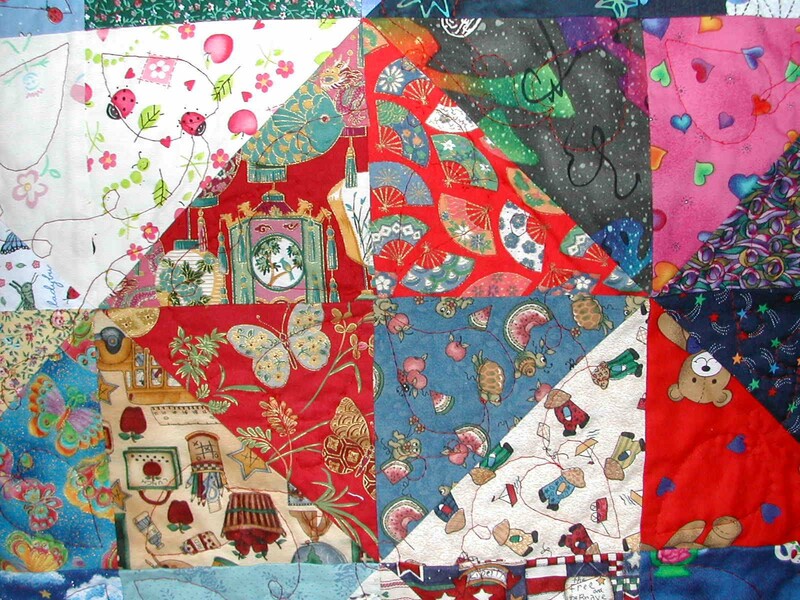 I'll finish piecing the quilt, add embroidery, quilt it, and bind it for you. Prices vary based on the amount of work needed. 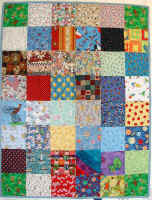 Email me with the size of quilt, and what needs to be done, and I am happy to help you finish your project! My client asked me to create a notebook cover for her wish book. 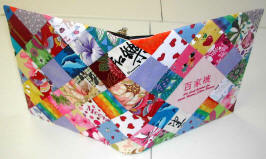 The front has an embroidered block. 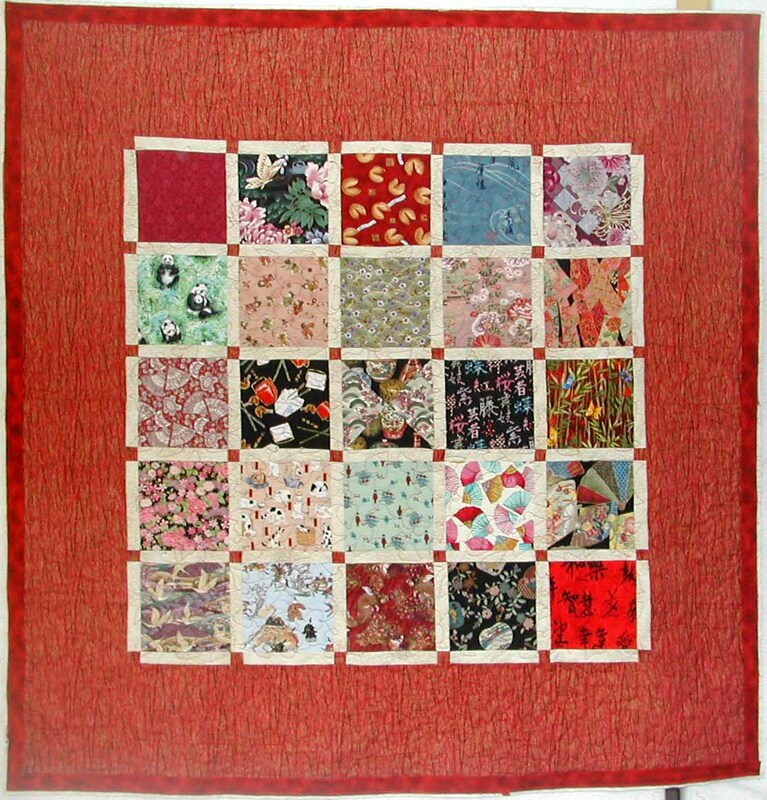 My client pieced the top of this quilt. 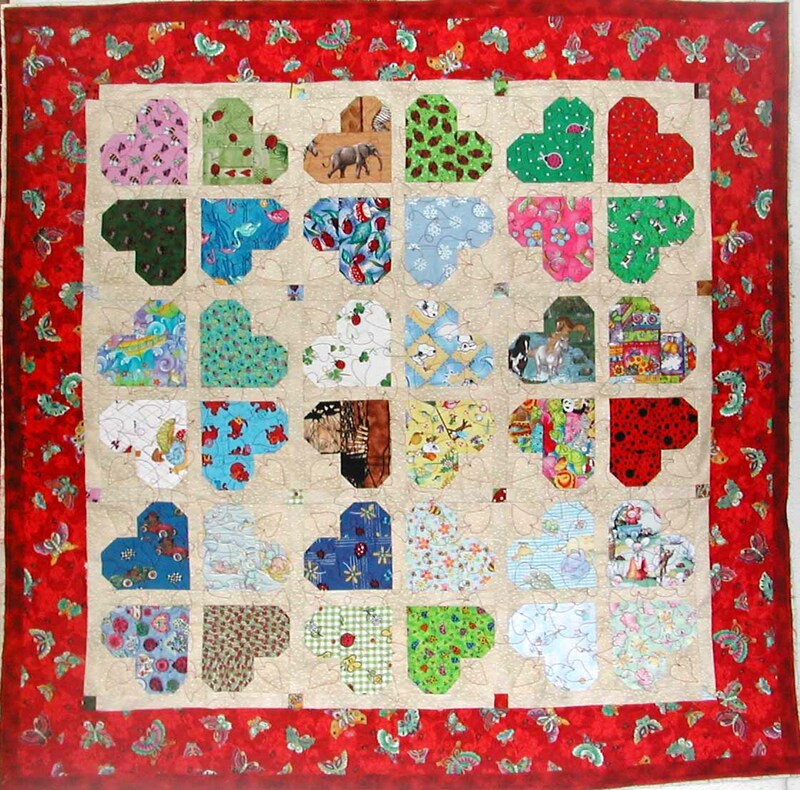 Its quilted with meandering hearts in the center, and a meandering stipple on the border. 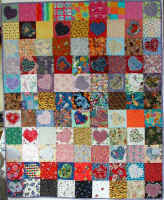 The quilt measures approx 49" x 49". My client will do the hand work to finish the binding. 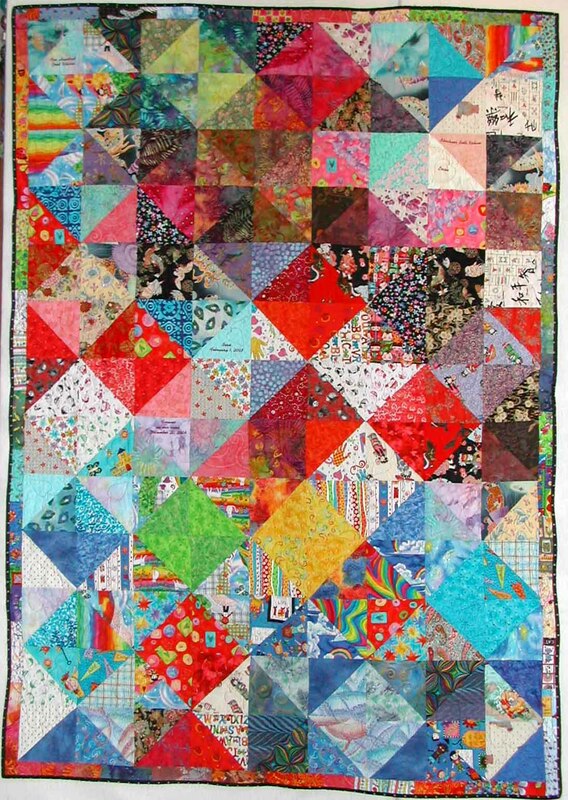 My client pieced the top of this quilt. 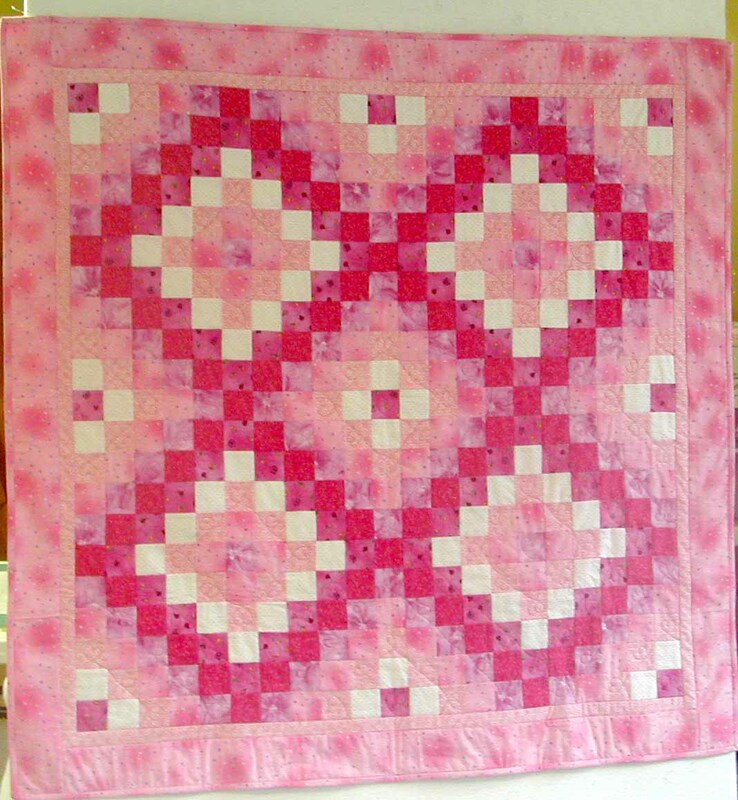 Its quilted with meandering hearts in the center, and a meandering stipple on the border. 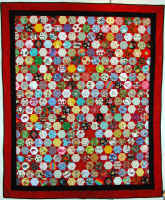 The quilt measures approx 54" x 54". My client will do the hand work to finish the binding. 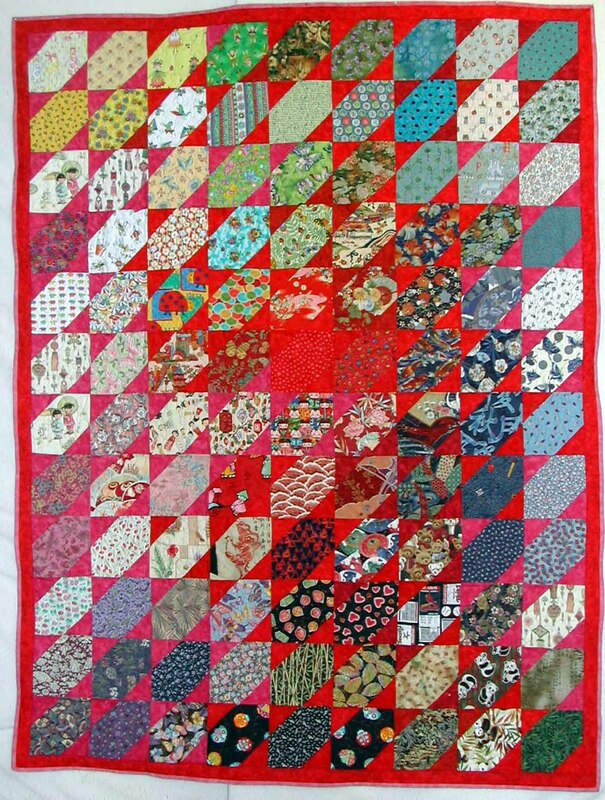 My client pieced the top of this quilt. 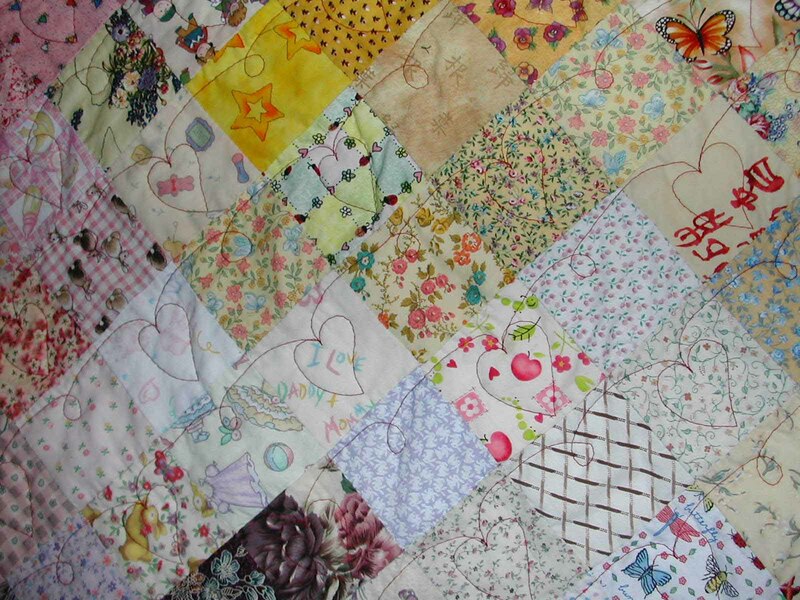 Border was added with the corner blocks and it is quilted with little hearts throughout with lavender thread. 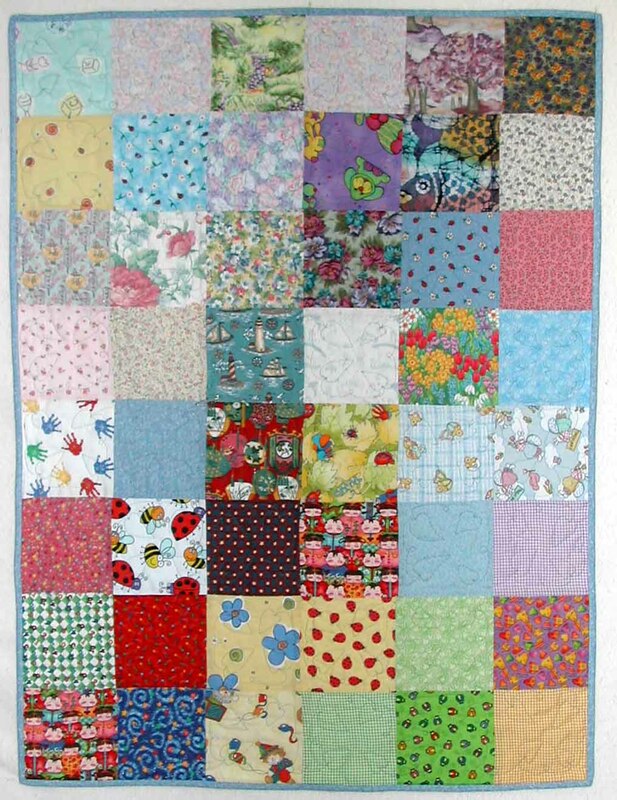 My client pieced the top of this quilt - isn't it wonderful!!! A ladybug in the center with the china doll fabric on the border. 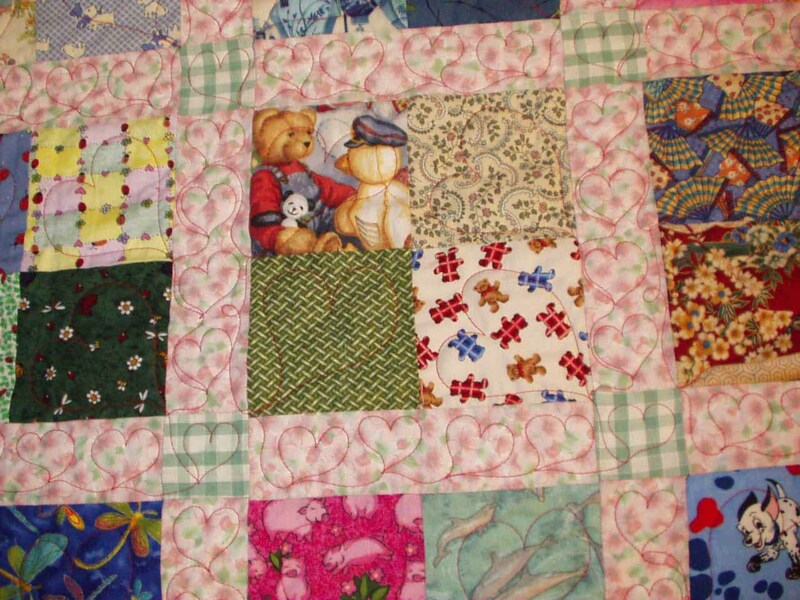 It is quilted with little hearts throughout. My client will do the hand work to finish the binding. 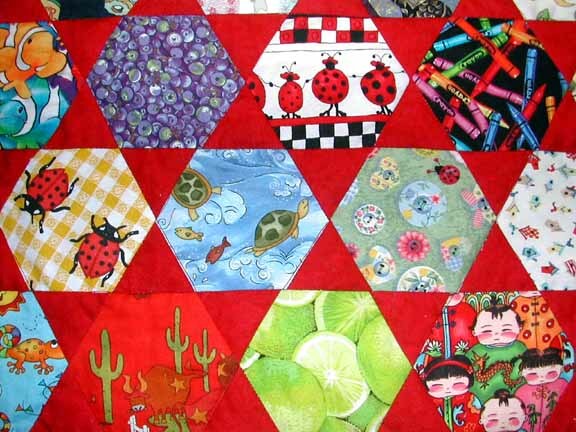 My client pieced the tops of both of these baby quilts. They are for boy/girl twins! 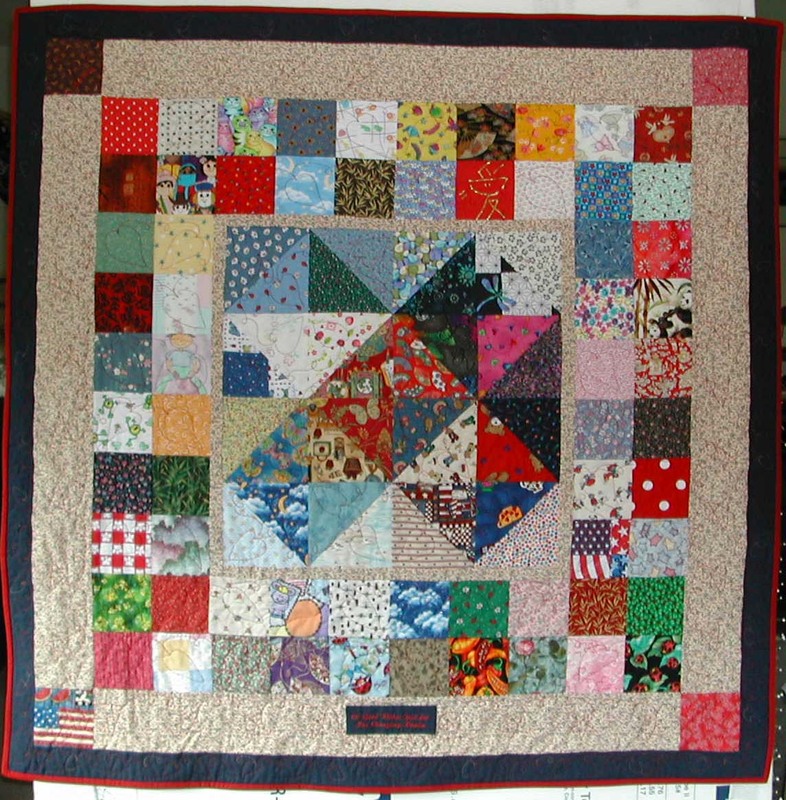 The boy's is quilted with meandering, and stars in the block corner stones, and the girls is quilted with meandering hearts. My client will do the hand work on the bindings. 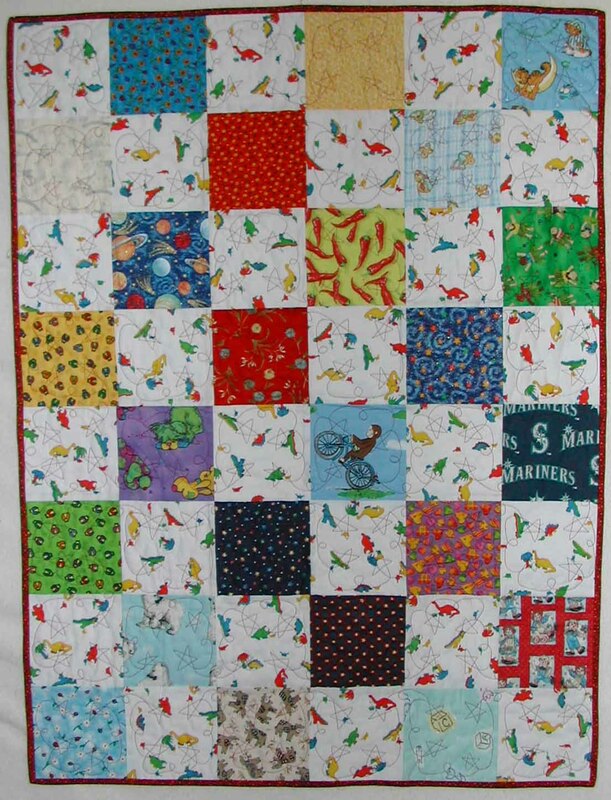 My client pieced the top of this quilt. 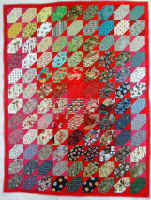 She purchased the sashing, corning stones, border and back from our other site www.bugfabric.com and sent the completed top to me to quilt and finish. This quilt is for my client's daughter, it was started by her grandmother, but my client needed someone else to finish it after she passed away. 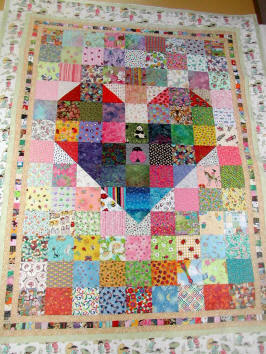 My client hand pieced this quilt, then I quilted it with meandering through the main portion, and hearts on the border. 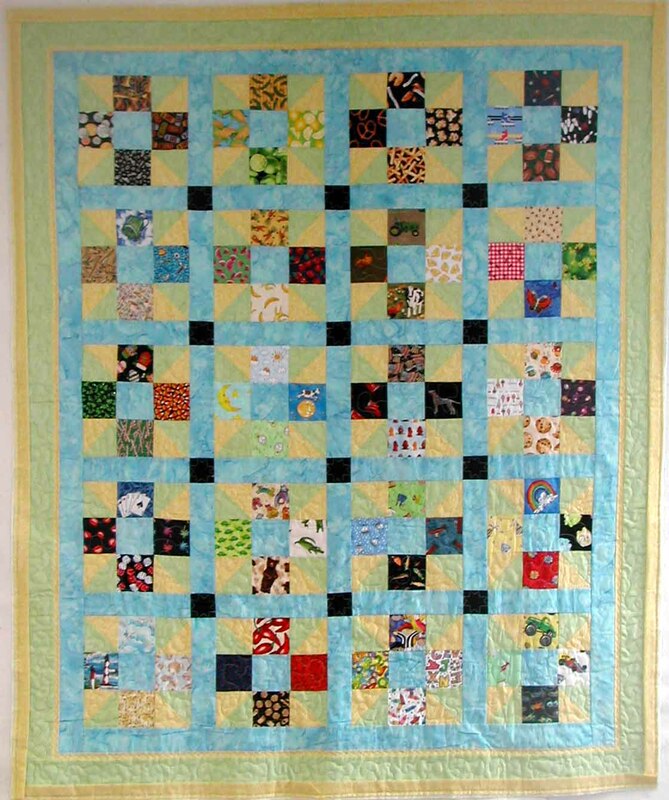 My client hand pieced this quilt for her son, and I added the borders and quilted it. It has a fun turtle fabric on the back! 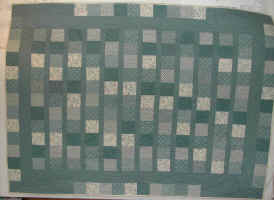 My client pieced this quilt - it is the shooting start pattern. She sent it to me to quilt and bind. 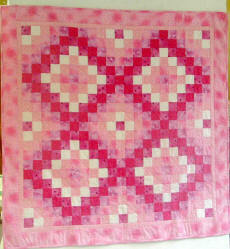 I quilted it with little hearts throughout in pink thread. My client sent these two tops all pieced to me for completing. 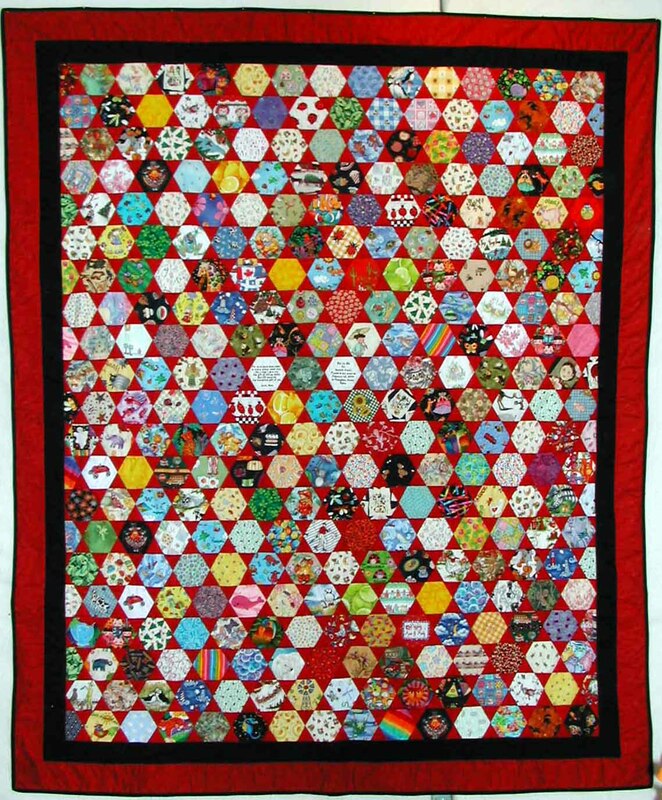 I did some embroidery work on the front of both then quilted them with red thread in a heart pattern throughout the quilts. 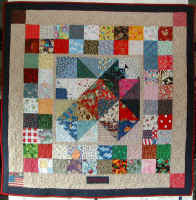 My client pieced this quilt, and asked for it to be quilted and completed. My client brought this beautiful quilt top to me to finish. It is the I-Spy pattern, and each block has an interesting piece of 100 Good Wishes Fabric! 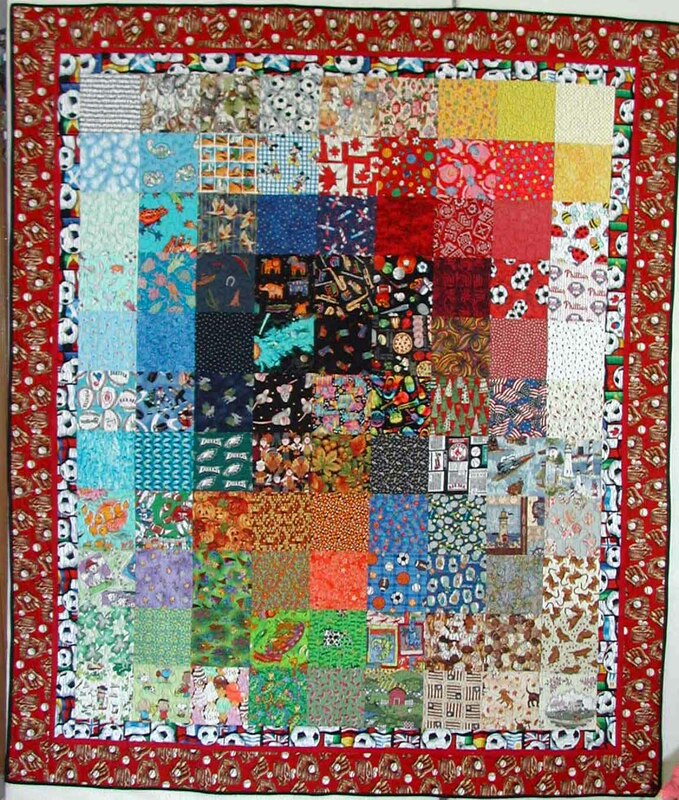 This quilt measures approx 70" x 85". 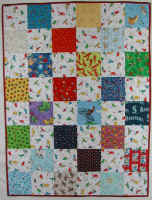 The second photo shows a close up of the piecing and quilting. 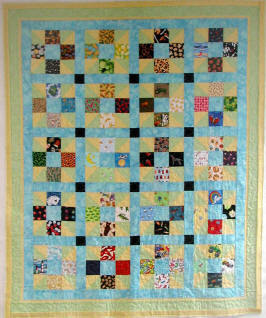 My client hand pieced this quilt for her son. 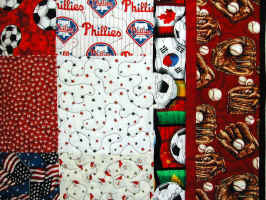 The won picked out the fun sport theme prints for the borders which I added then quilted and finished. 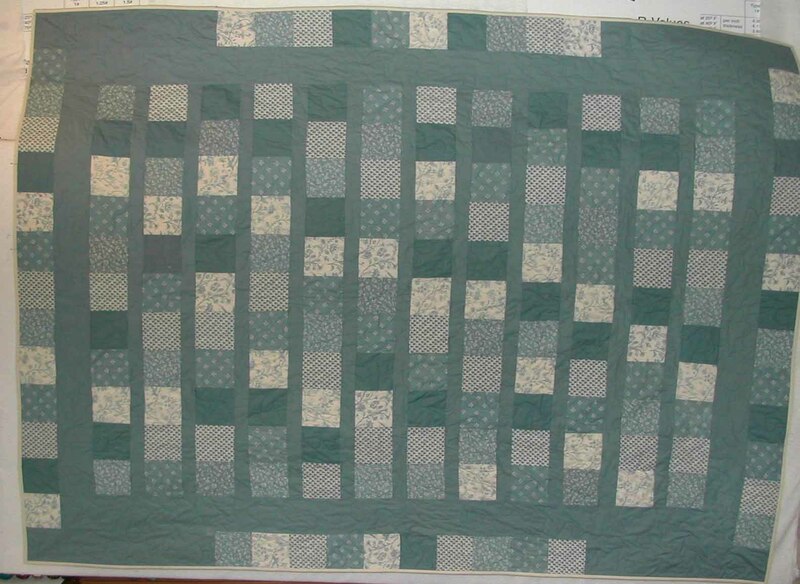 This quilt measures 74" x 86". 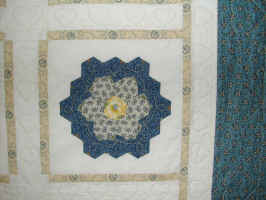 The second photo shows a close up of the quilting and the border prints. 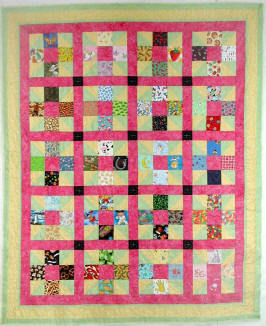 My client pieced this quilt for her adopted daughter. 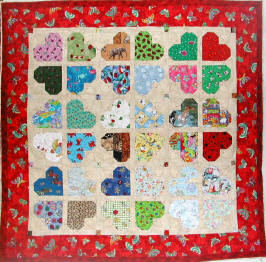 She did a beautiful job of appliquéing hearts on many of the bocks. 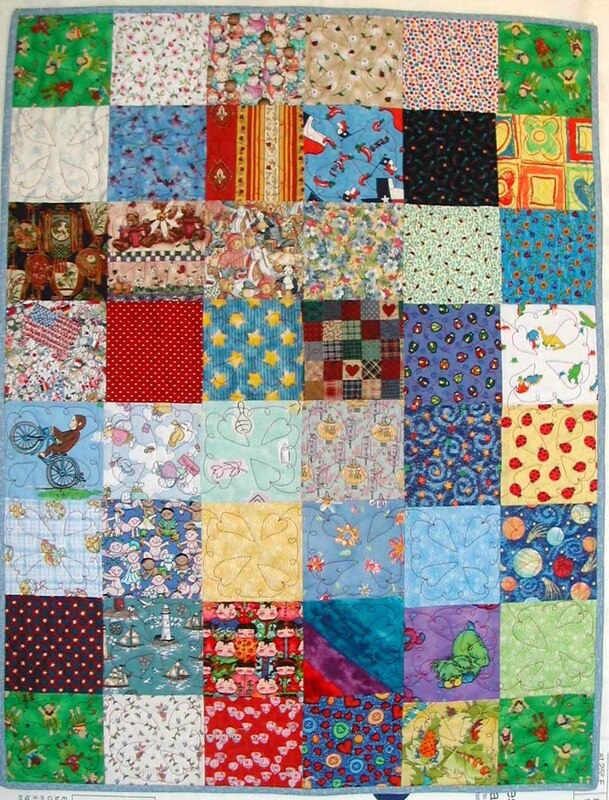 She sent it to me to quilt it. We used yellow thread, and embroidered hearts throughout. 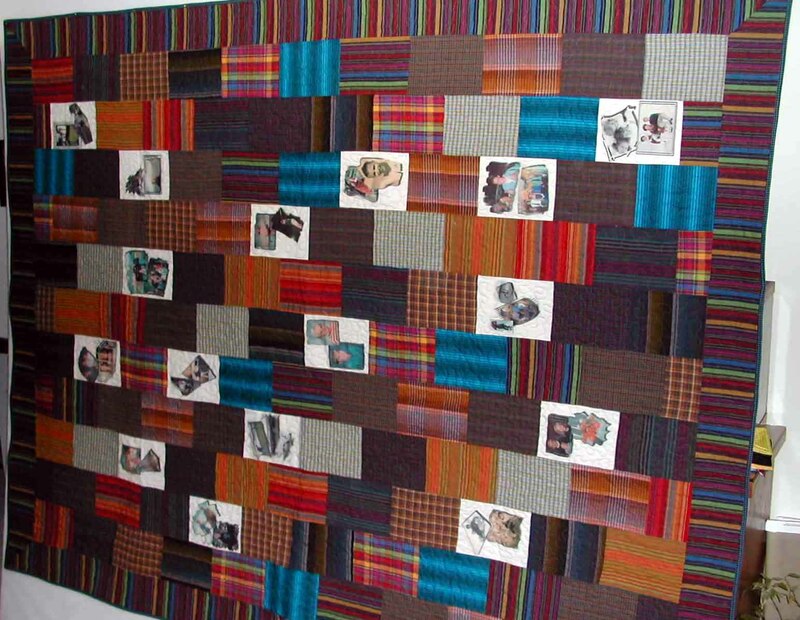 My client pieced these two quilts - then sent them off to me to quilt them. The top quilt has hearts quilted throughout with blue thread, and the second quilt has stars quilted with red thread. 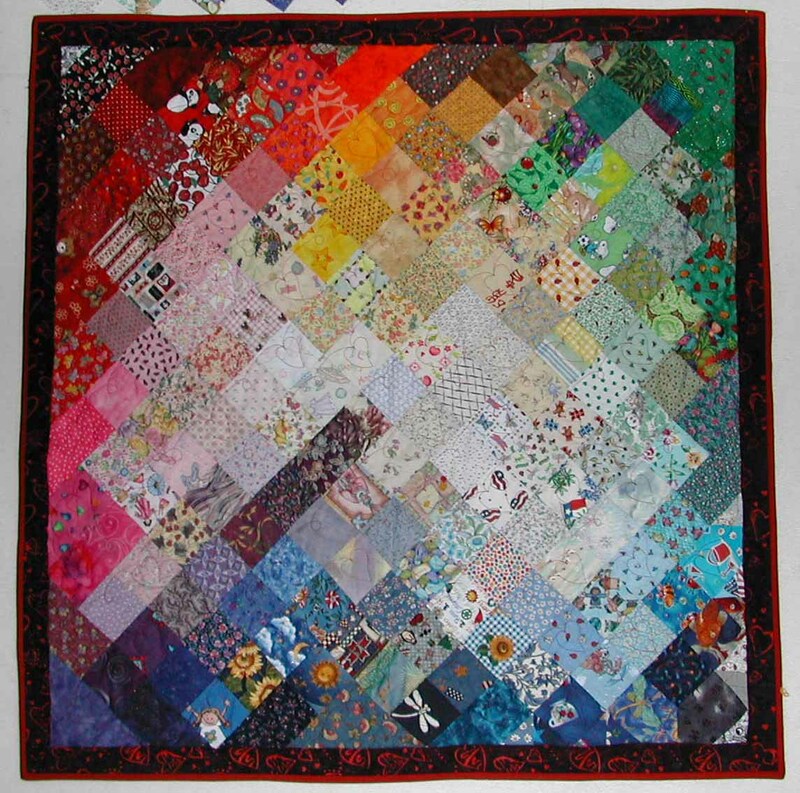 My client pieced these two quilts - then sent them off to me to quilt them. 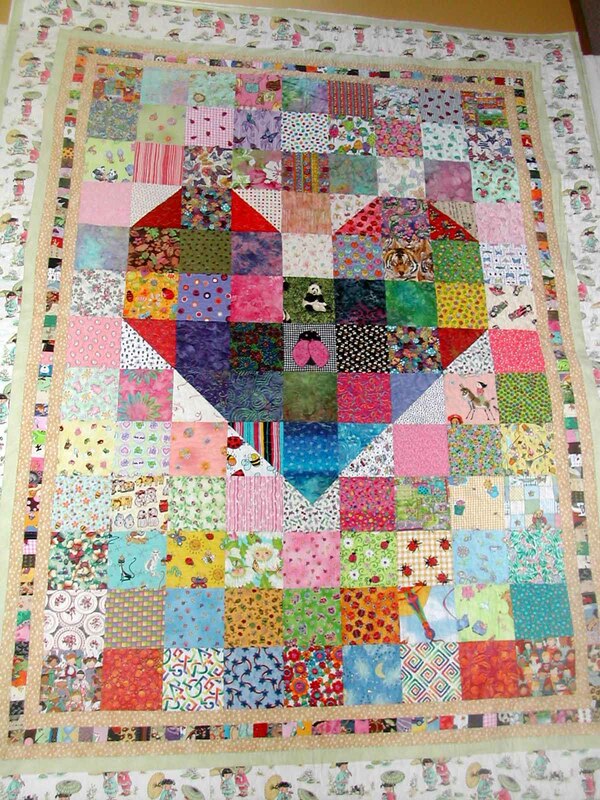 There are hearts quilted throughout both quilts. 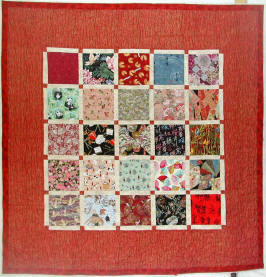 My client hand pieced this quilt then she asked me to add the borders, quilt it and bind it. 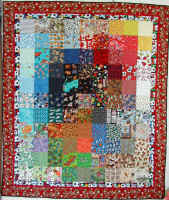 The quilt measures approx 100" x 84". 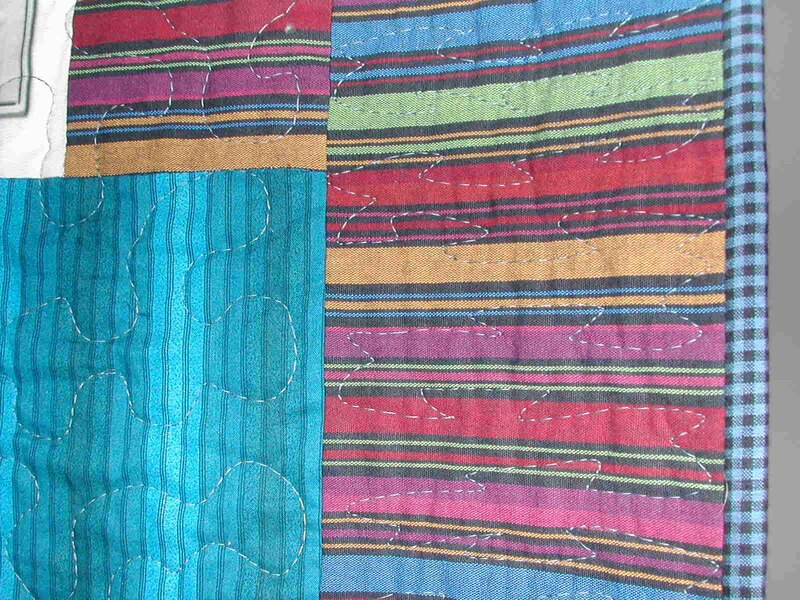 The top photo shows the entire quilt, and the bottom photo shows the close up of the quilting and binding work. 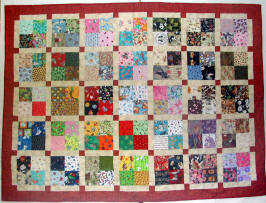 My client had pieced the 100 blocks together for her daughter's 100 Good Wishes Quilt. She sent it to me for finishing. 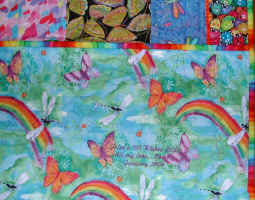 I quilted hearts throughout the quilt, and quilted the dragonflies in the first border. 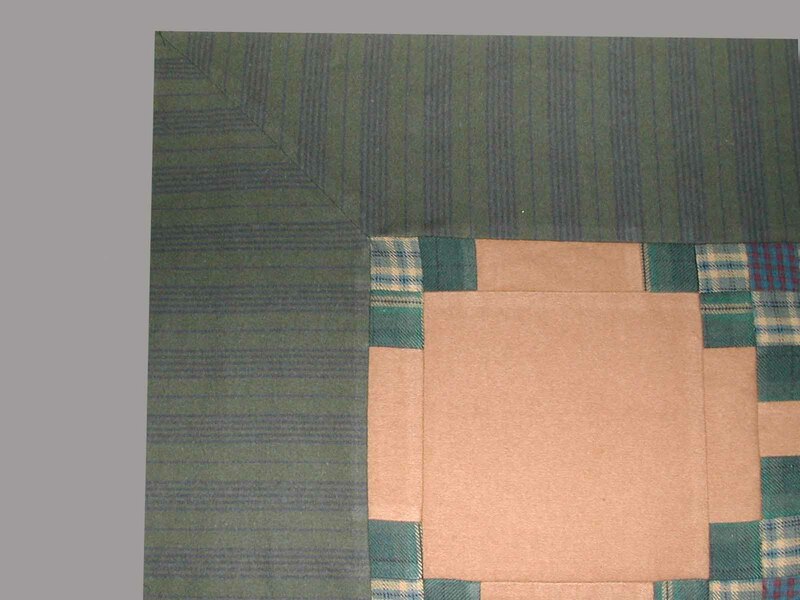 The second photo shows the fabrics selected for the back, borders, and binding, and the quilting. 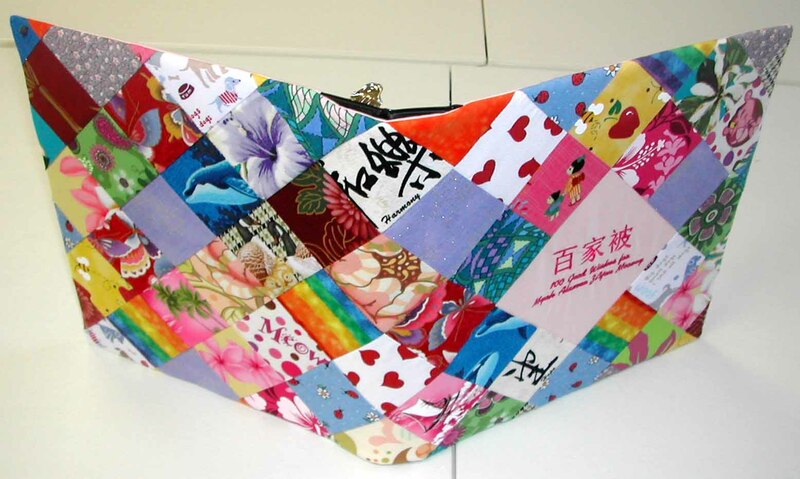 You can also see the label added to the back of the quilt. 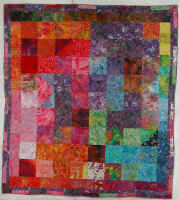 My client hand pieced the blocks on this quilt, then machine pieced the sashing and borders. 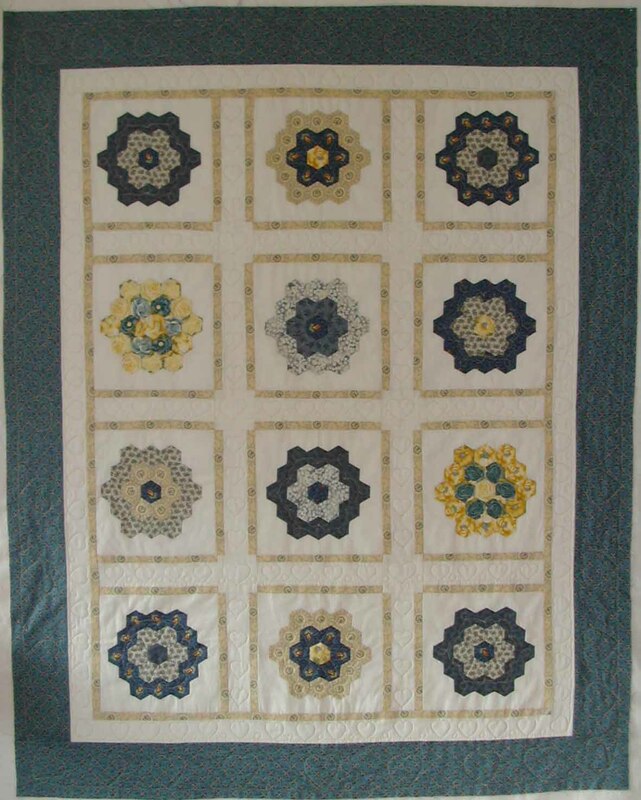 She had traced the stencils and asked for me to quilt with yellow thread. 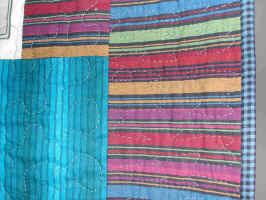 The top photo shows the entire quilt, and the lower photo shows the detail of the quilting. 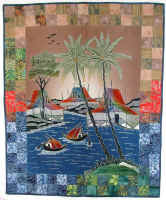 This quilt was made by a client of mine, she pieced the batiks on the border of this Indonesian batik scene then hand quilted the center of the quilt. 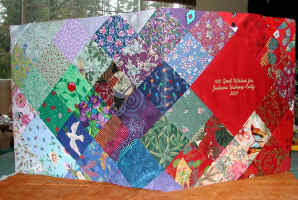 She asked me to finish quilting the border which I did, and I added the binding and a label on the back for her. I also made three matching pillows to go with this. 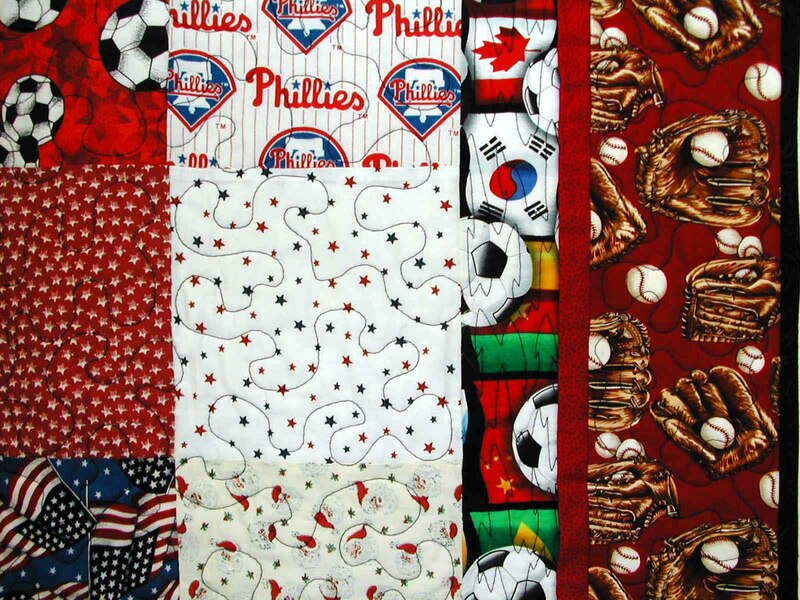 She will hang it in her bedroom and put the pillows on the bed. 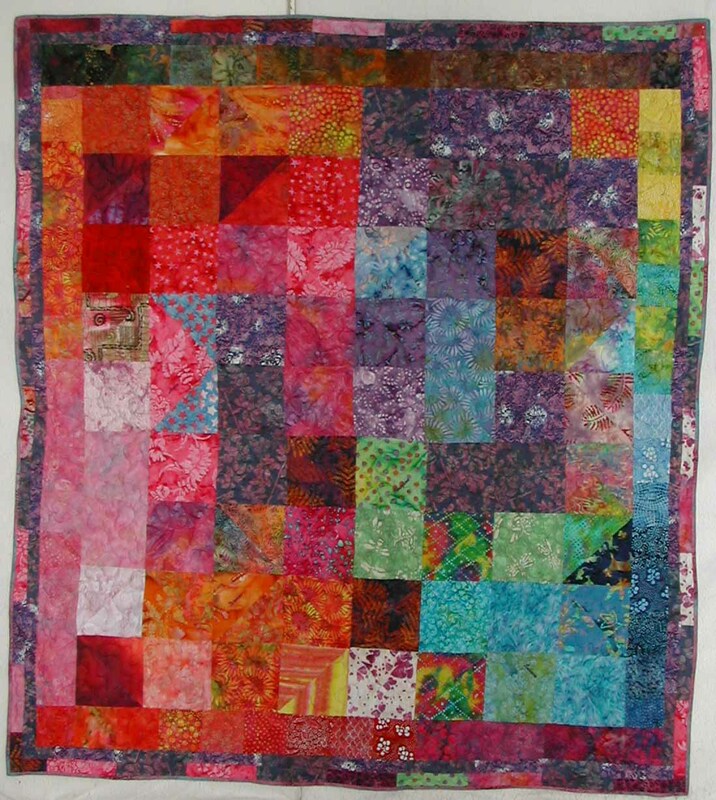 My client pieced the top of this quilt and put the first light border on. 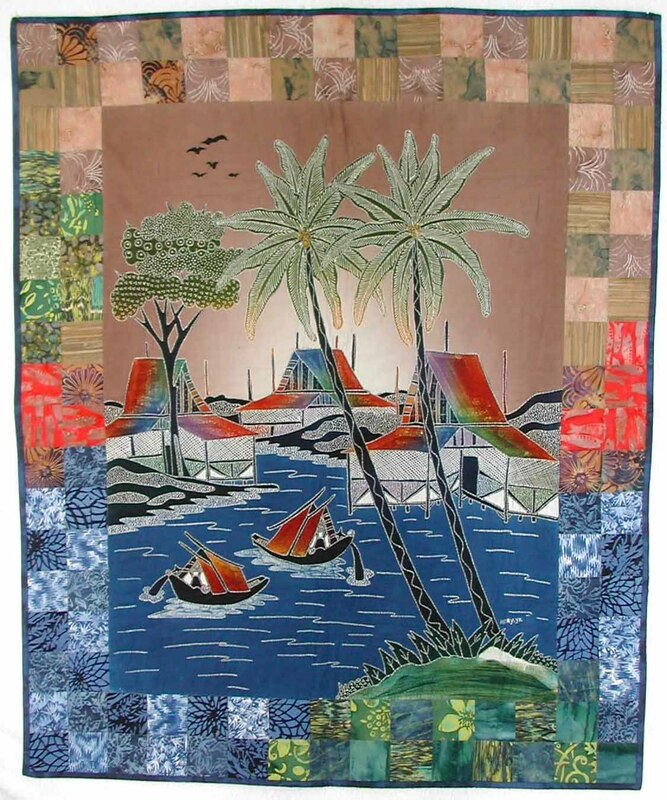 She then sent it to me, and I embroidered in each of the four corners and at the bottom center. 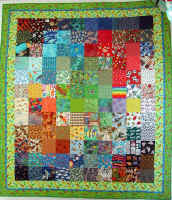 I then quilted the quilt and finished with the binding. I embroidered the label for the back as well. 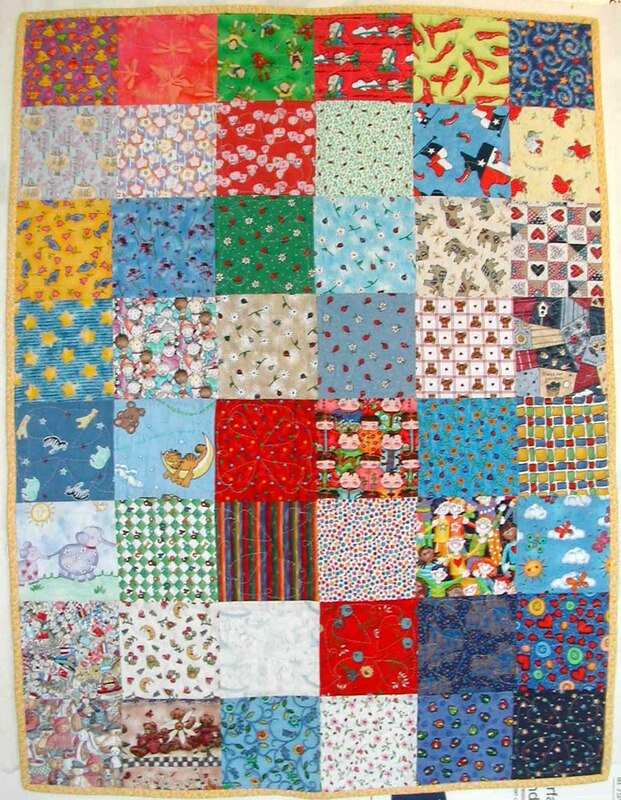 This quilt was completed April 2003. I would be happy to provide you with Holly's email for a reference. My client hand designed and hand pieced this quilt top. 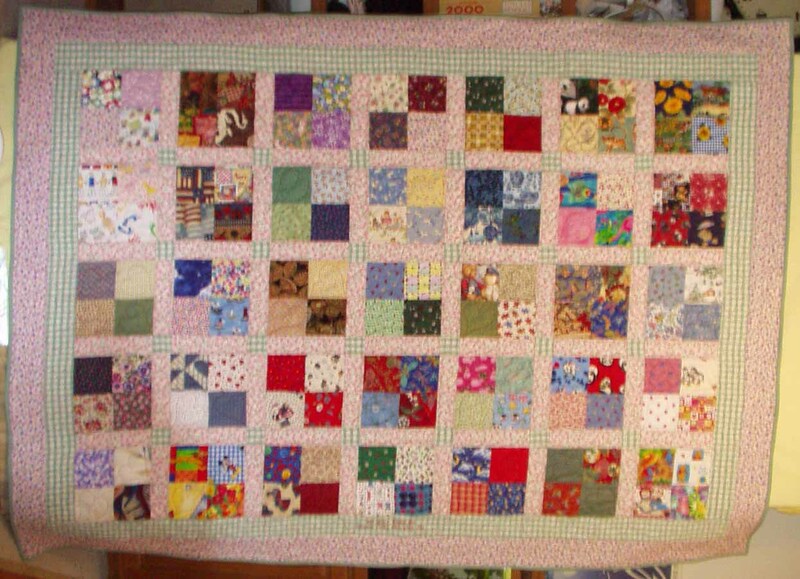 She asked me to finish it by machine quilting and putting the binding on. 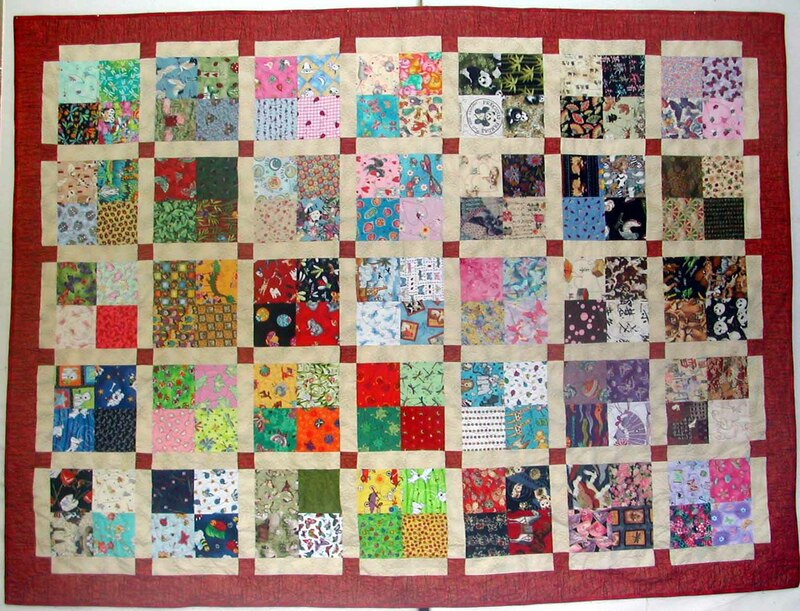 The top photo shows the entire quilt which measures approx 44" x 44". 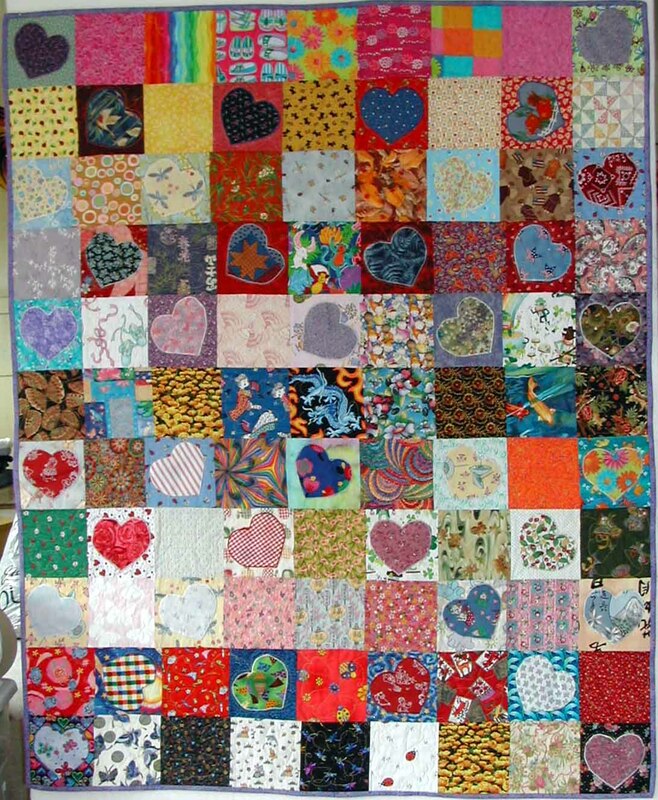 The middle photo shows the detail of the quilting - red hearts throughout the quilt. The bottom photo shows a notebook cover made with extra fabrics - this is for the wishes that were collected. 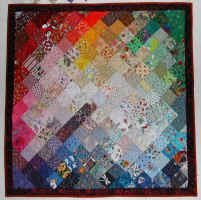 My client had pieced 3 blocks of this quilt, and asked me to finish piecing it, and put the borders on. 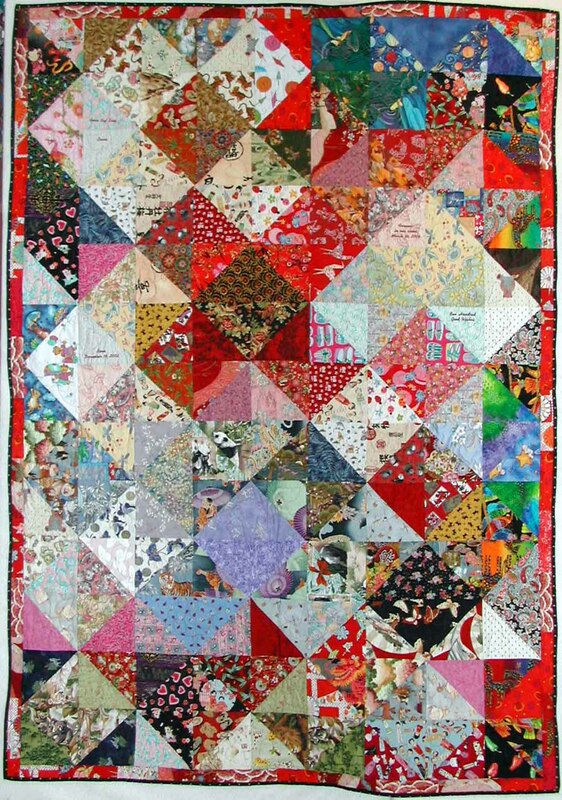 She will take it to a long arm quilter for finishing. 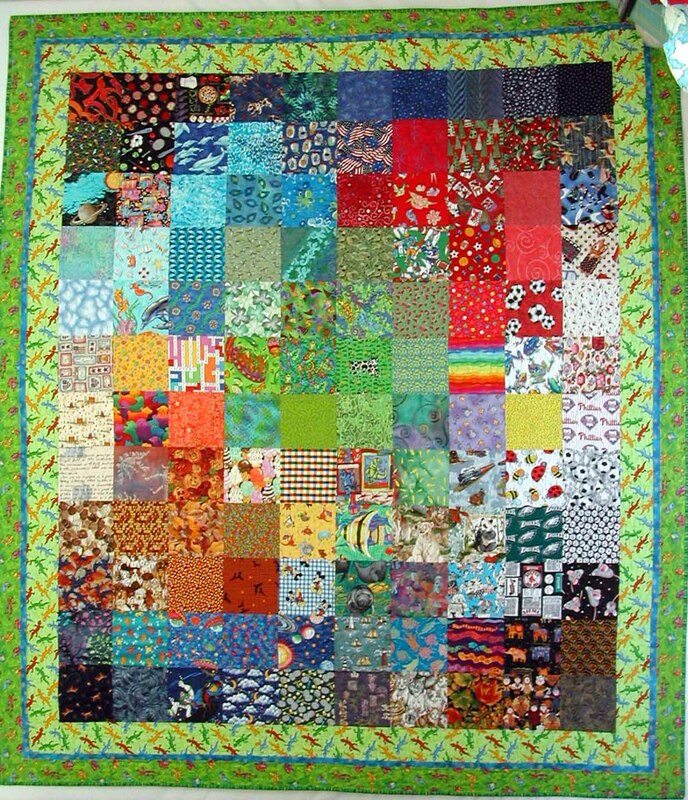 This quilt measures 72" x 100". 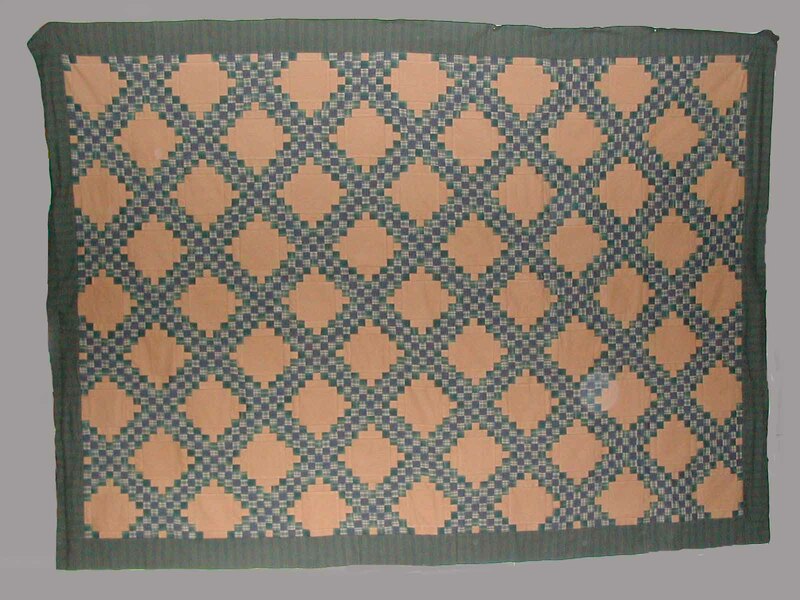 This is a Triple Irish Chain pattern - in flannel fabrics. 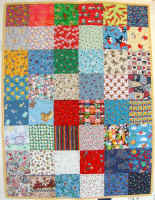 This was pieced March 2002. 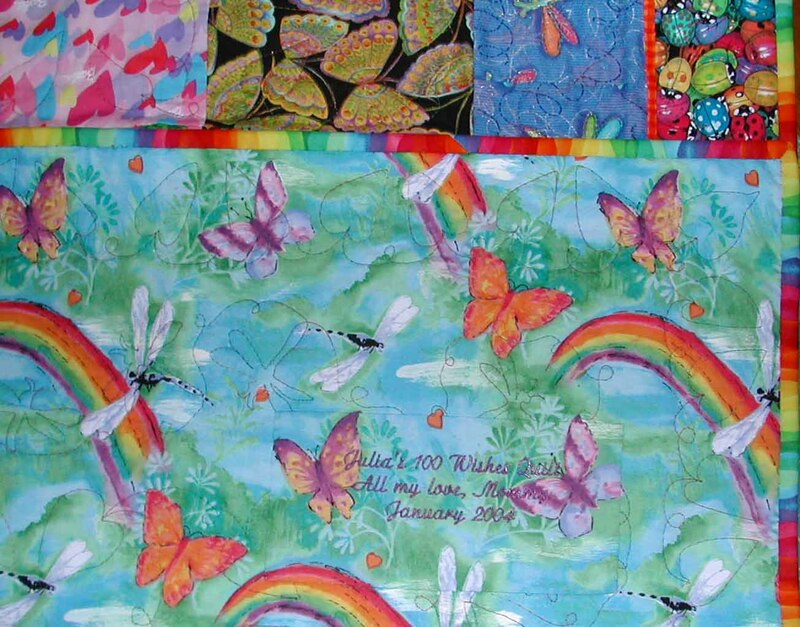 This 100 Good Wishes Quilt was designed and pieced by my client. 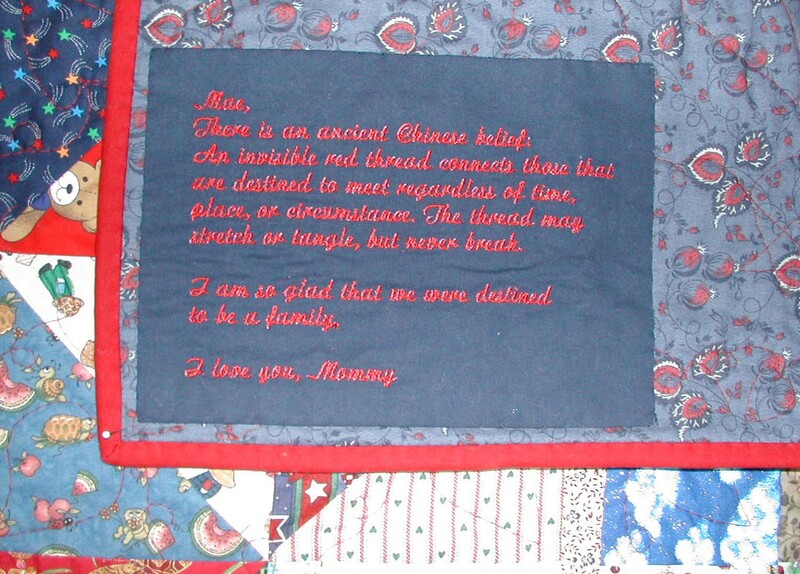 She asked for me to embroider the baby's name, quilt, and bind the quilt. 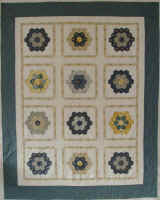 The Quilting Cottage did the long arm work, and Original Quilts did the embroidery, and binding work. Completed January 2002.